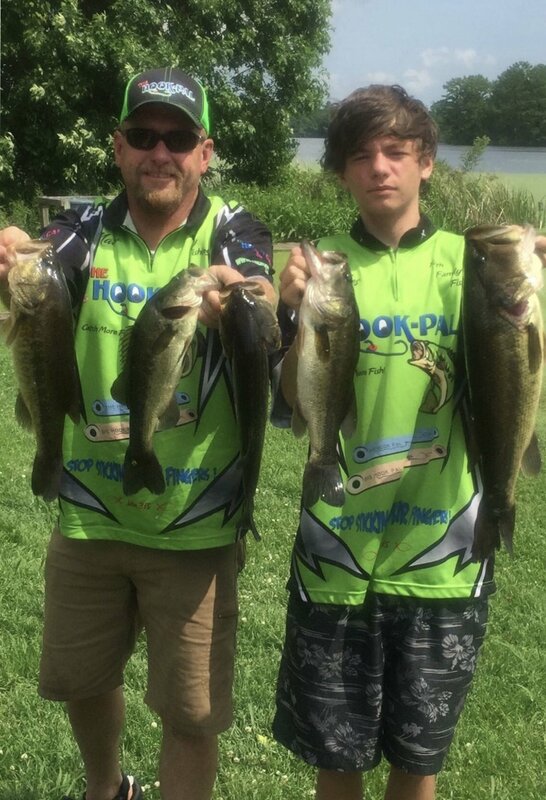 Comments from The Hook Pal Pro-Staff! From installing a Trailer Hook on a spinnerbait or a buzzbait to avoid short strikes to keeping a swimbait locked on, “The Hook Pal” tool is a fantastic way to keep your baits in place! I like to use it to keep my jig trailer locked on, it keeps the trailer form sliding down and I’ve found I can catch a lot more Fish before I have to chance my trailer! This tool is a vital part of my time management in tournaments and allows me more time to keep my bait wet! Great tool by great people! The Hook Pal has been a huge blessing in my fishing endeavors. As a tournament angler we all know time management is key. The Hook Pal has played a tremendous role in that with keeping my senko in place, not having to readjust my trailer hooks like you do with the rubber tubes, and keeping my fluke strategically placed on the hook. As a kayak fisherman I end up getting forced to fish the big lakes at night due to boat traffic. The glow disk has help me tremendously at night! Hook-Pal is definitely a game changer. It is awesome when trying to keep your trailer hook on your spinner bait. The Hook Pal has been a game changer for me. It has become a main part of my arsenal when fishing bass tournaments whenever I’m using a spinner bait or a buzz bait that I need to put a trailer hook on. I love my Hook Pal, especially the disk that came with it. I don’t have to worry about them dry rotting like the rubber pieces that come with other trailer hooks. Nor do I have to worry about the trailer hook or the disk coming off. Thank you, Hook Pal, for an awesome product. If you haven't seen or used "The Hook Pal" you need to check it out! I use it on all my jigs so the soft plastic doesn't pull down on the hook. Awesome product made by a fisherman. A nice smallie caught using "The Hook Pal" fishing tool to attach a trailer hook onto a spinnerbait. Thanks Hook Pal, landed a 5lb Susquehanna Smallie. I Love "The Hook Pal" fishing tool because I'm able to use plastic trailers on my jigs and spinnerbaits without having to worry if the trailer has slid down the hook. I know with "The Hook Pal" my bait has a great presentation! Love catching smallies on a spinnerbait! The Hook Pal, ensures you're gonna Hook Up. Using "The Hook Pal" on my wire baits is a no brainer, the second hook is added insurance. The Hook Pal disc give the hook the ability to allow the trailer hook to swing more freely than traditional trailer hook setups. I can't put a number on the time that surgical tubing has left my hook sitting at an odd angle that leads to getting hung up eventually. The tool itself is a simple but brilliant design, takes up very little room, saves your fingertips from getting poked and in my opinion is a must have for the spinnerbait and buzzbait angler. You don't have to ask yourself why you need it, ask why wouldn't you need it. To me, The Hook Pal is just as essential to have in the boat as a pair of clippers or a pair of pliers. It's just silly not to have one! The Hook Pal is a must have tool in your boat and tackle box. It has many uses, but one of my favorite is how well you can pin a trailer on a chatterbait or jig. No more need for super glue!!! I have saved many dollars in trailers by doing this. I think that The Hook Pal is the greatest innovation ever. I love how easy it is to use . I really love using it with my swim baits, no more worry about getting super glue on my carpet. I use it for all my trailers to hold them in place, no need for constant adjusting. I think every one should have one on their boat. The Hook Pal pegs my Jig trailers that allows me to catch monster bass. I catch them in the Chickahominy River! See my Facebook page for monster fish pictures! There's a ton of stuff you can do with "The Hook Pal". Get your tackle box out and experiment with it. I never fish a spinnerbait without a trailer hook! The Hook Pal is super cool for double locking a fluke. It prevents it from riding up and down on the line. The great combo of zeebaitco angry beaver and inseinefishing jig is deadly !!! One last component is thehookpal bait disc !! Kept my jig trailer on there ! I bought “The Hook Pal” fishing tool at a expo a few years ago, it has proven to be tried and true for all it is intended to do and more. I have would not have won the tournaments and brought in the fish that I have without it! The Hook-Pal fishing tool is a must have in the boat when fishing a major tournament or fishing with your kids . This picture(6 lbs) is my personal best tournament bass. I caught it on a Mr. Sooperbass Tackle Select Series Spinnerbait. I use the Hook Pal Disc/Keepers when I add a trailer hook to my spinnerbaits and buzzbaits. This tool is assurance that your catch is going to the scales or your kids big fish is going to be framed on the mantle.